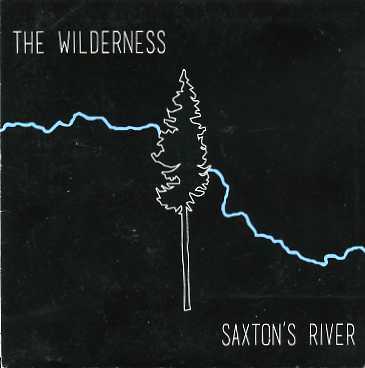 Kingston’s Band The Wilderness released their debut recording Saxton’s River. They have been together for three years and are struggling to make it to the next level. They tour North America hoping to find their audience. I guess they were hoping this recording will push them further. The Band consists of Lead vocalist and guitar- Jonas Lewis- Anthony. On lead guitar and backing vocals is Alexander Lansky. On Bass Guitar is Karl Tombak. On Keys and percussion is Liam Neale, and on drums and backing vocals is Henry Lawrence. Saxton’s River is a mixed bag of sounds. Every song gives you a little different taste of folk, country, funk, and even some progressive elements. This doesn’t mean it works every time. This may not be the earth shattering recording to come out, but it does have some really solid tune as well as some throw away songs. My personal favourite from this is, Reaching out. You can really feel the positive vibes come through on this song. Another favourite is Home, where you can feel the excitement of getting closer to home. The song, Where I roam, has some pretty solid lyrics attached to it. The song, Irene has a washing and cleansing of your soul kind of sound to it. On the flip side, 81 south is just another boring road trip song. The other song, Heartbreak Blues has no blues attached to it, and comes off like a funky little piece. The other thing that I find difficult about this recording is their packaging. They seemed to have scribbled their lyrics inside the liner notes and placed them onto photos, which makes it impossible to read. These are just a few things young bands come across when they are starting to record and get more serious about their career. I know these guys work hard and will mature into something greater soon. In fact when I did see them recently they included a horn to their sound and it seemed to elevate them to the next level. I hope they keep the horn because that really brought a fun energy to the band. Overall, it is an average recording, but don’t let that stop you from seeing them live. That is where they truly shine, and hopefully they will pick up a larger audience. Who Is the Master of the Shred?